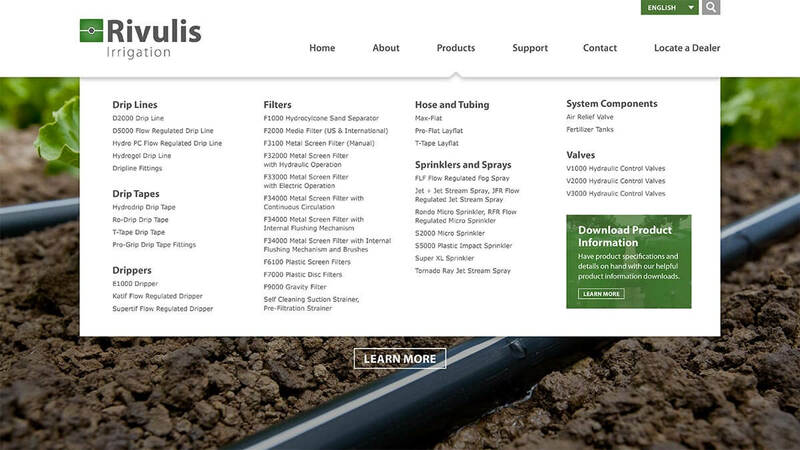 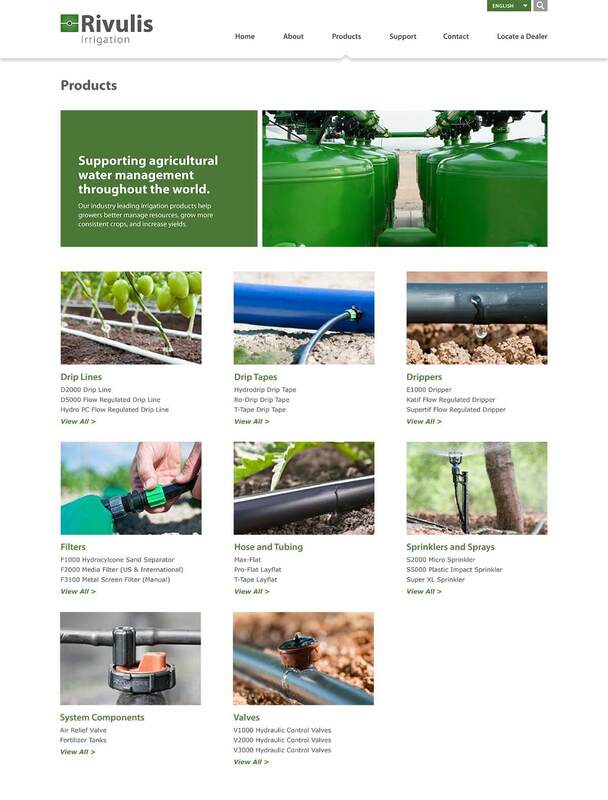 John Deere Water was being re-branded as Rivulis and Bop Design was hired to create a website for the new brand. 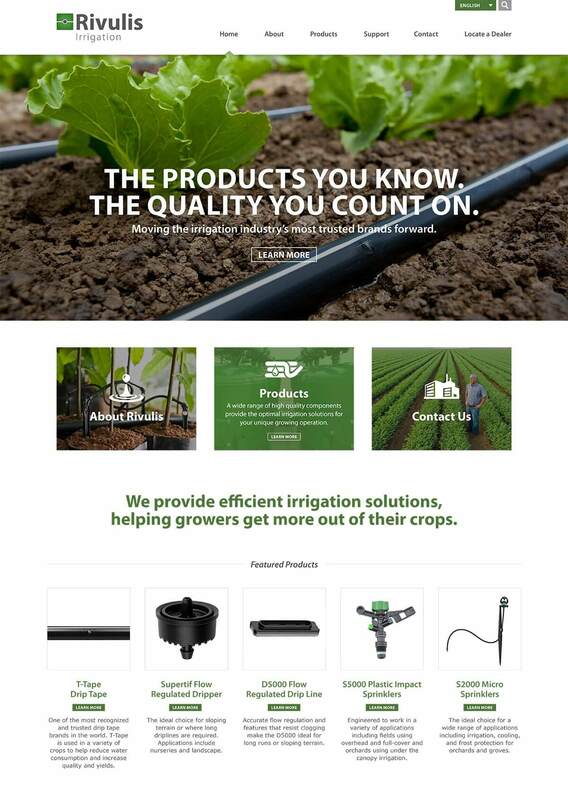 The new website displays an intuitive user interface with a flat design—allowing visitors to find desired information in the least number of clicks. 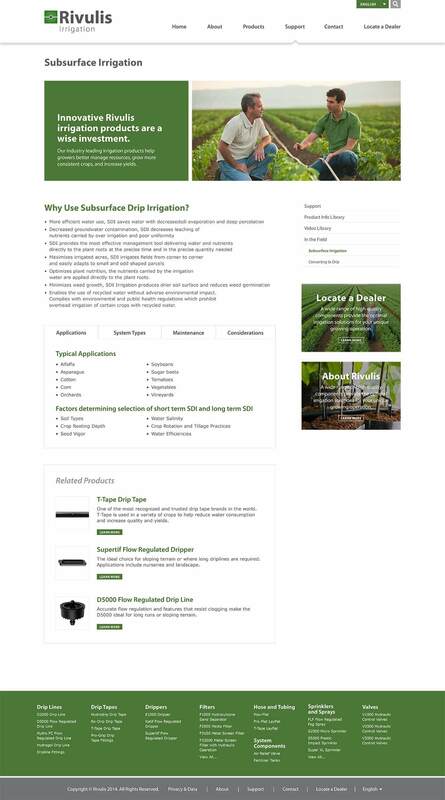 The web platform showcases each product with photos and tabs highlighting product overview, features and specifications.